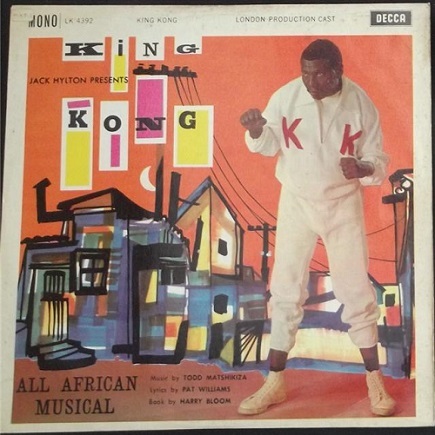 In the London cast recording of King Kong. The song wasn't part of the South African original production. Tshostholosa also made it as theme song of South African gold & diamond miners, as unofficial Zulu anthem (as Shosholoza) and as the local rugby supporters' hymn. Means: Push Forward, Hold On, Persevere. Mandela on Robben Island kept his spirit high with this song. There's been a version as Shosholoza Mandela, circulating after he was locked up in '63.